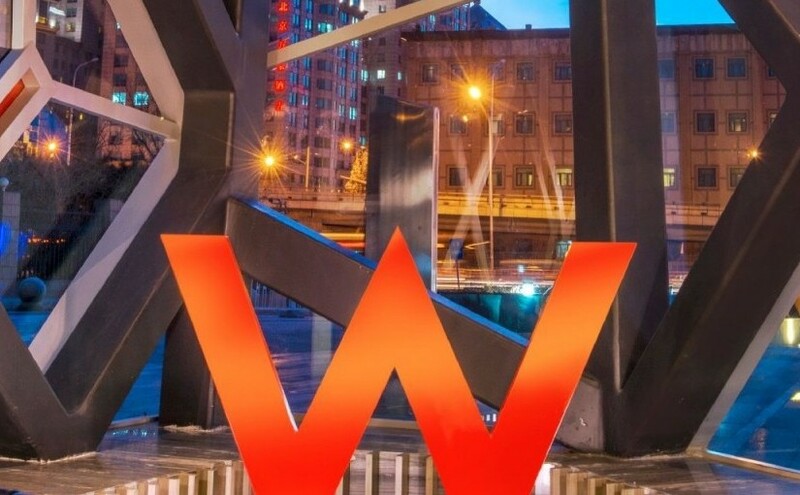 The W Beijing-Chang’an measures 80 meters high with 21 floors above ground and five floors below. 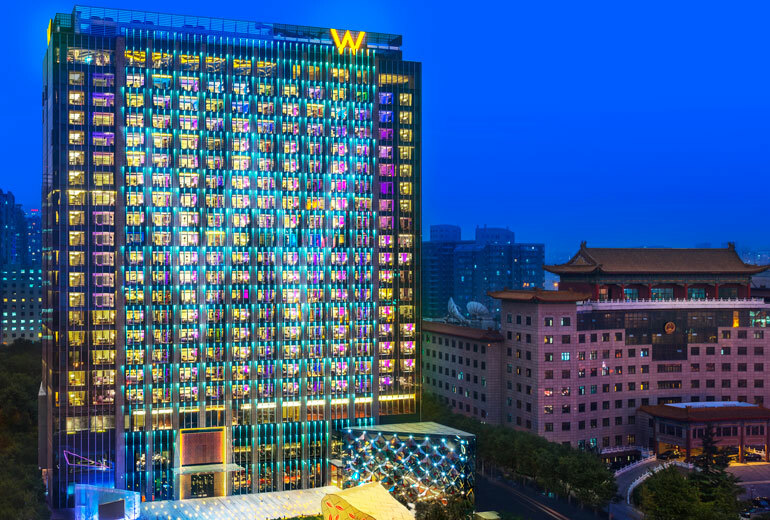 The design demonstrates the luxury that W Hotels has established for itself: a combination of colours and lights made the building a landmark in the Jian Guo Men area. The project included 350 guest rooms and suites, 8 event rooms, meeting rooms, a spa and a fitness centre. The 300-person Great Ballroom features customizable LED lighting. The Mega Room can be reconfigured for speakers, trainings and wedding receptions. There is also an outdoor garden equipped for hosting 300 guests. 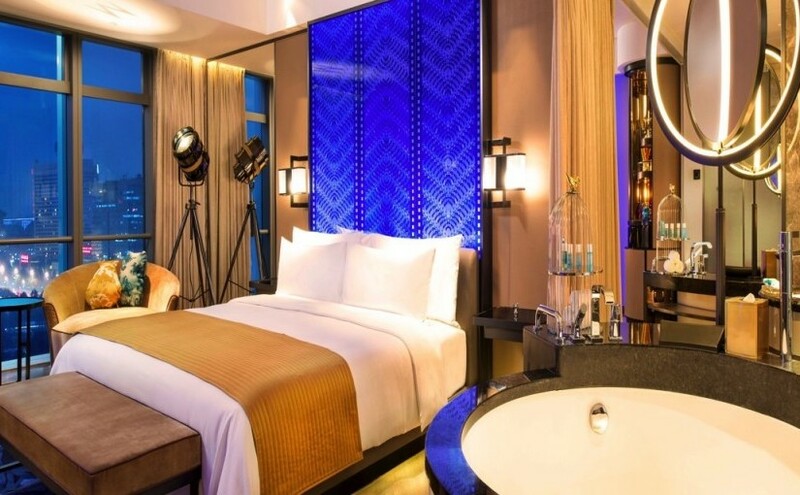 The guest rooms feature state-of-the-art technology that revolves around a convenient digital tablet to control the features: LED television, Bluetooth sound and room lighting.